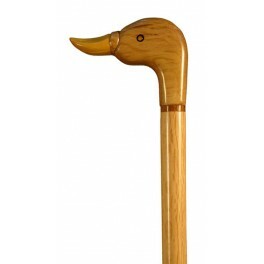 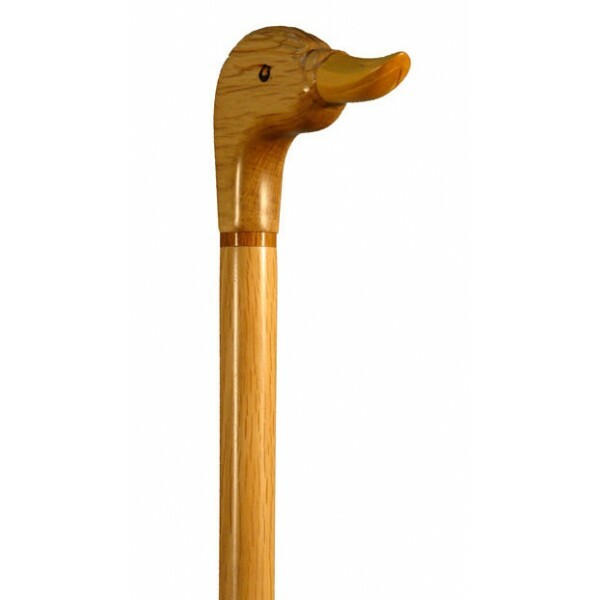 Walking stick that has the artisanal carves of the knobs made with holm oak wood of our surroundings.It enhances by the beauty of the browning grains over the natural yellow colour of the wood. 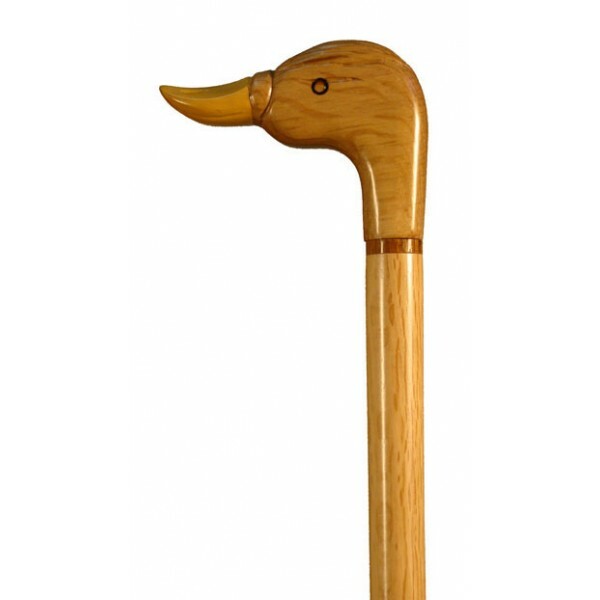 Mounted on holm oak shaft in natural colour. 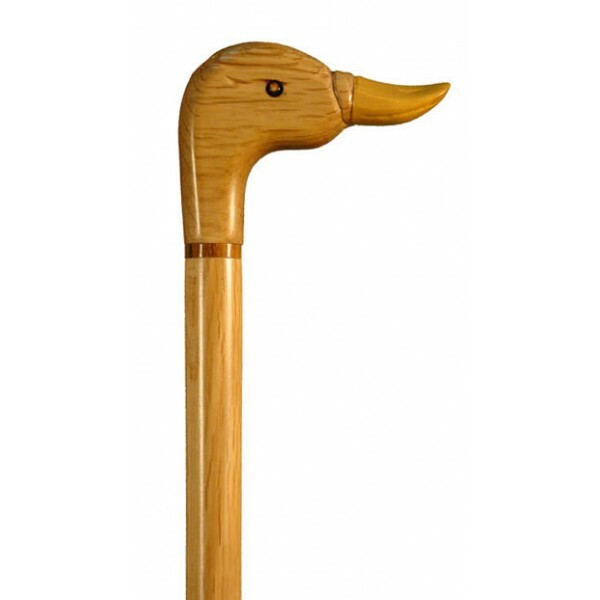 Duck.